Maintain purpose and stillness with quarterly review questions! Is your life what you most want it to be? At least every 3 months, step back and review the life path you are now on. Really put your life under a microscope and do an in-depth review. Then get out the telescope to raise your sights and shoot for a new horizon or new star. The Quarterly Smart Review Questions below focus on aspirations, holidays, life lessons, life purpose and on what is most important to you. TIP: Create and number 9 equal sized boxes on one page in your journal, one for each question. Write very short answers for each question. At 3 month intervals, add your answers to the same boxes. Alternatively, create one page in your journal for each question, to give you more room for answers. Take a minute right now and book a review day every 3 months in your calendar. You’ll be delighted with the clarity and insights this brings! What was your peak experience or accomplishment over the last 3 months? Why was this so meaningful? What was your main challenge? What recurring blocks got in your way? What can you do to move through them? What major areas of your life need more attention? 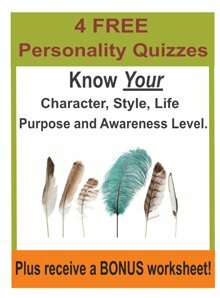 E.g., health, relationships, learning, spirituality, finances, career, leisure/recreation. How will you make this happen? Looking back, what would you consider to be the primary life lesson you are being invited to learn? What actions can you take now to address this issue? Examples of life lessons: Are you being invited to move through fear, anger, jealousy, possessiveness, or ...? Are you being invited to make your stand and express yourself? What dreams and aspirations, both old and new, merit more attention? What time will you allocate for solitude, rest, relaxation, rejuvenation and/or fun? What areas of your career would you like to change? In what ways do you enjoy giving back to others? Do you have a sense of your life purpose? How can you live it more fully? Want more of these smart questions? Receive one question daily, with a related quote and a short tip, for ongoing reflection and insights. Choose from 6 themes what is most important to you. Focused questions will support you in changing perspectives, unleashing your deeper inner potentials and breaking through those blocks that hold you back. Get Smart Questions and so much more with a Higher Awareness membership. Click here for more information about Smart Questions and to join.